Angry Birds is the most popular video game developed for iOS devices by Rovio Company and has been downloaded more than 1 billion times. Angry birds is a paid game while the free version also provided with limited levels. Previously Angry Birds was priced for $0.99 and HD version was priced for $2.99 at Apple’s store. 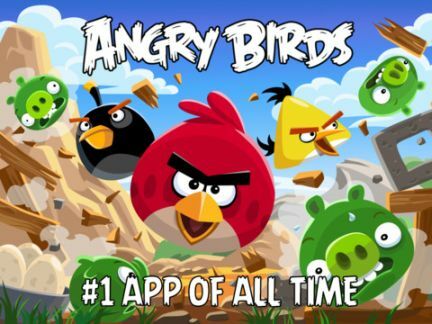 Rovio now made this game free to anyone and giveaway the Angry Birds for iPhone, iPod and iPads. This is the first time the game available for free, since it launched on the year 2009. So you can download the game completely free of cost. It is unclear if this is a permanent offer or time limited offer, because Rovio has not announced yet about this giveaway. Also Rovio removed the free versions of Angry Birds game from Apple store, so it will be the permanent offer. The Angry Birds 3.1.0 has recently updated and released with new 15 fantastic levels for the Bad Piggies episode. So hurry up to get your free copy for your iOS device. This is compatible with iPad also. The game requires iOS version 4.3 or later.